This microdermabrasion rotating face and body cleaning system helps keep your skin looking younger and more vibrant. 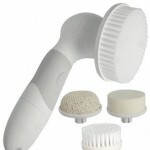 This face and body SPA cleansing system uses a rotating brush to help keep your skin looking younger and healthier. The microdermabrasion spinning head removes embedded dirt and oil, resulting in healthier, more beautiful skin. Remarkably gentle for cleansing all skin types, including sensitive skin conditions such as rosacea and acne. Your pores appear smaller, fine lines and wrinkles appear reduced and your skin tone and texture improves . The rotating action polishes away aged skin and rejuvenates tissues while it smoothes away stress lines, sun and time. Helps reduce the appearance of fine lines, wrinkles, enlarged pores, superficial sun damage, superficial scars and age spots. 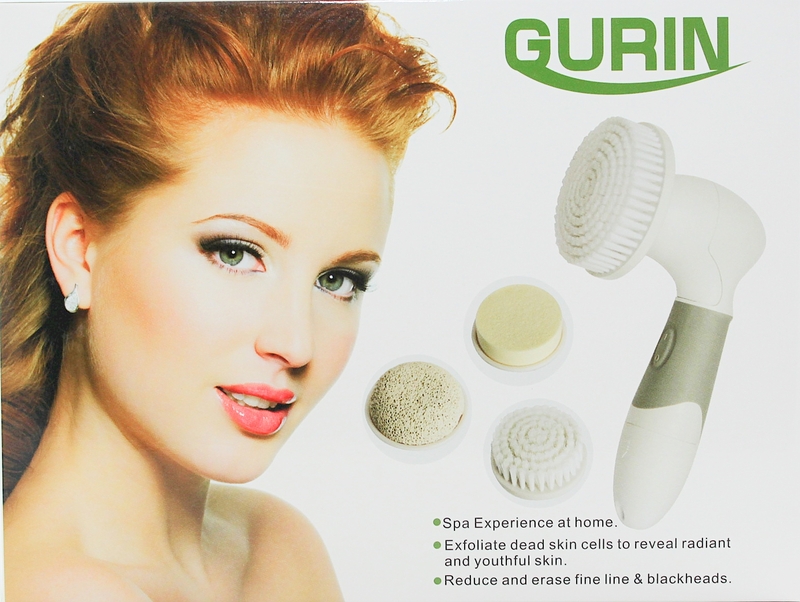 Comes with 4 reusable applicators including a large brush, small brush, face sponge and pumice stone. Requires 4 “AA” batteries not included. Q - Where can I re-order attachments?